Mark Gatiss discusses Black Butterfly: A Lucifer Box Novel. Mark Gatiss signs Black Butterfly. The League of Gentlemen and Doctor Who writer and actor will be signing copies of the latest Lucifer Box novel. Signing, no ticket required. Mark Gatiss is currently considered a "single author." If one or more works are by a distinct, homonymous authors, go ahead and split the author. 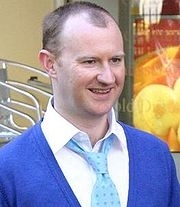 Mark Gatiss is composed of 5 names. You can examine and separate out names.